This statement piece is both romantic and wow. 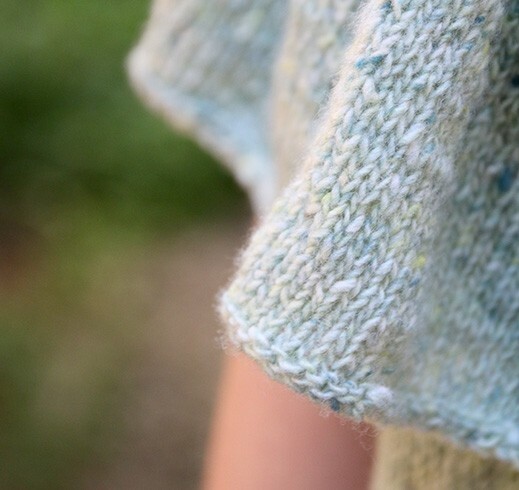 A gigantic ruffle makes this fun and dressed up at the same time. Just perfect for your tanned shoulders. Use it on or off the shoulder. 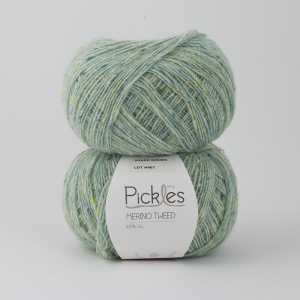 We have knitted this in two different qualities: Pickles Merino Tweed is both robust and romantic. 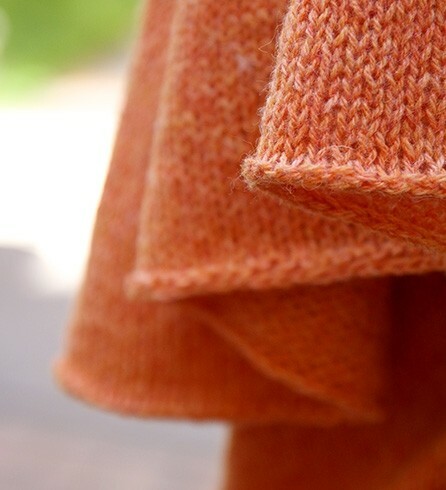 It can be knitted up on quite large needles and still look good and is just right for airy summer garments. 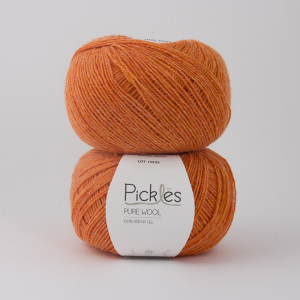 Pickles Pure Wool gives a more even surface and comes in the most gorgeous melanged colours..
Easy / Knitted top down.